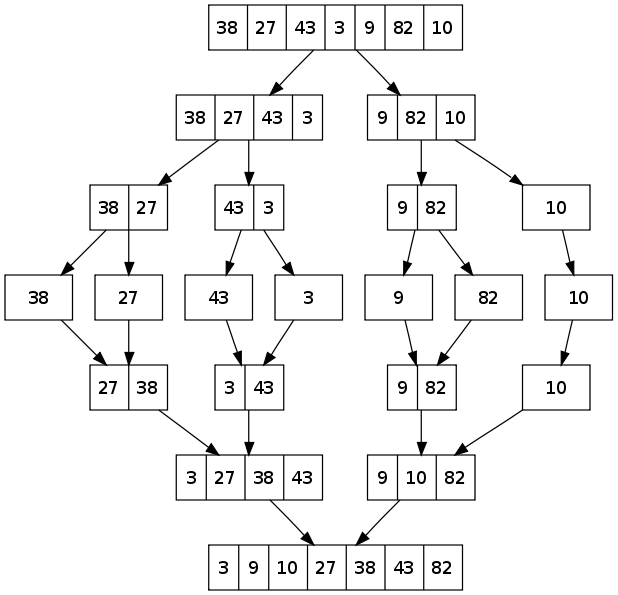 Sort each sublist recursively by re-applying the merge sort. 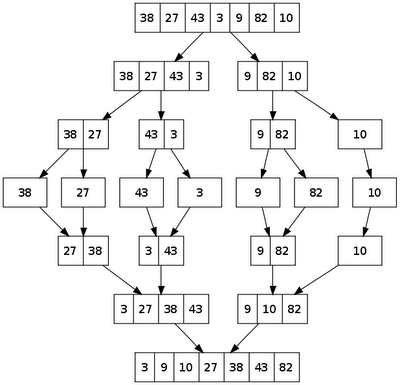 I found it a lot easier to understand the algorithm by just looking at this diagram (also from Wikipedia). I added a public mergeSort function to the sortArray object, which I showed in the first post in these series. This function calls the internalMergeSort function passing in the internal elements array and the onSort callback. The function recursively divides the elements in two parts, sorting them and finally merging them back together. The merge function is implemented like this. I peeked at this implementation, which is very similar to mine and which helped me write the first while loop more elegantly. Testing sorting algorithms is pretty easy. So far, I have only defined one QUnit test for this algorithm. A small remark here is that you should use deepEqual instead of equal for array assertions. We want to compare the contents of the array, not their references. See the algorithm in action here. I was even wondering how can something be left with left.length > 0 && right.length > 0?